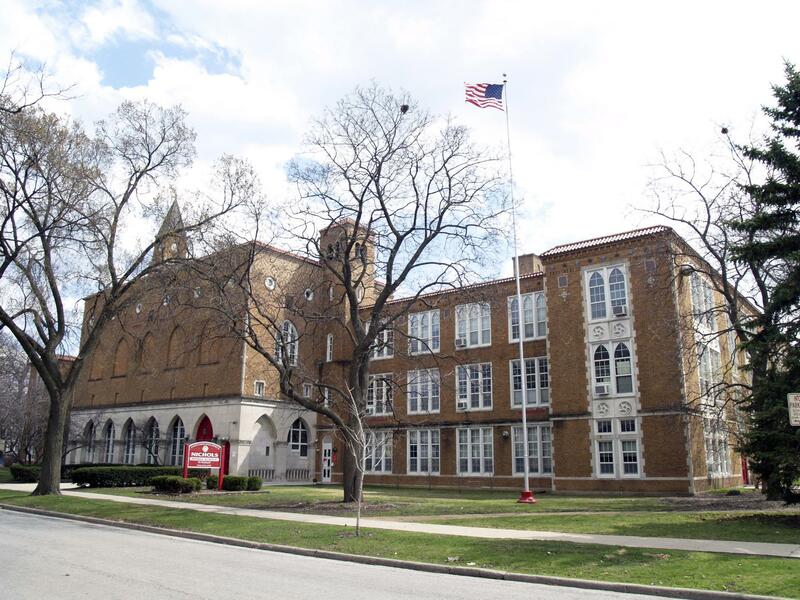 Significance: An educational building with exceptional eclecticism but with Venetian Gothic influences, it is also notable for its clear articulation and ample fenestration of the classroom wings and its clock tower. Childs and Smith were well known bank and school architects; Frank Childs was a long time Evanstonian. 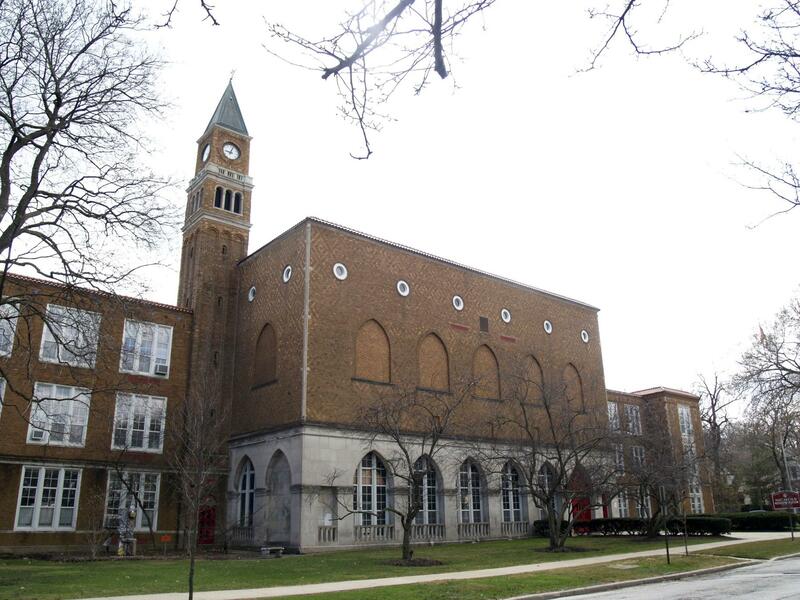 The firm was closely associated with Northwestern University's downtown campus from 1924. Childs later became a fellow of the American Institute of Architects and regional advisor for the U.S. Office of Education. Frederick Nichols was the longtime superintendent of schools in this school district and had a major impact on the design of this school. Historic Features: Partial stone base at entry with Corinthian detail at pier tops; large and small campanile towers; carved spandrel panels, mini columns at paired openings each side of campanile) clay tile mini-mansard at parapet. Alterations: Window and door replacements. 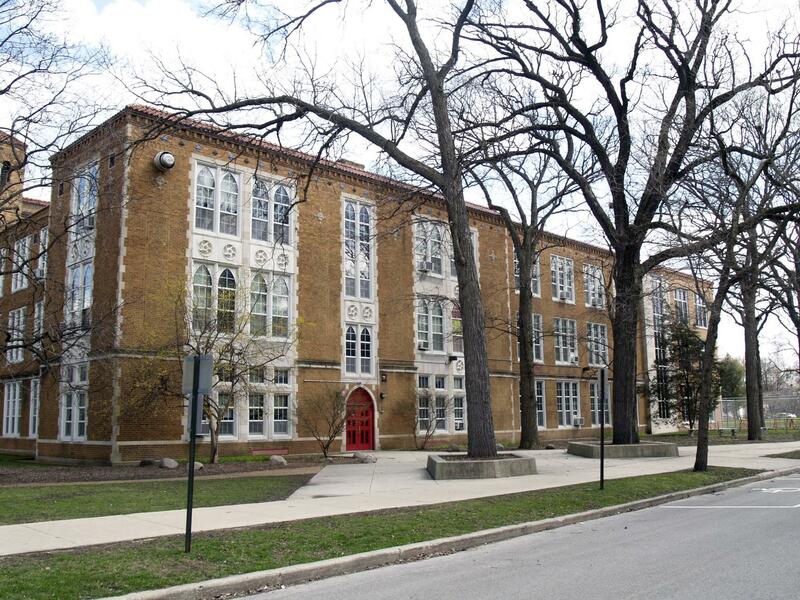 Original Owner: School District 76 "Nichols Middle School"
Historic Info: 1980.17.04, designated Evanston Landmark.